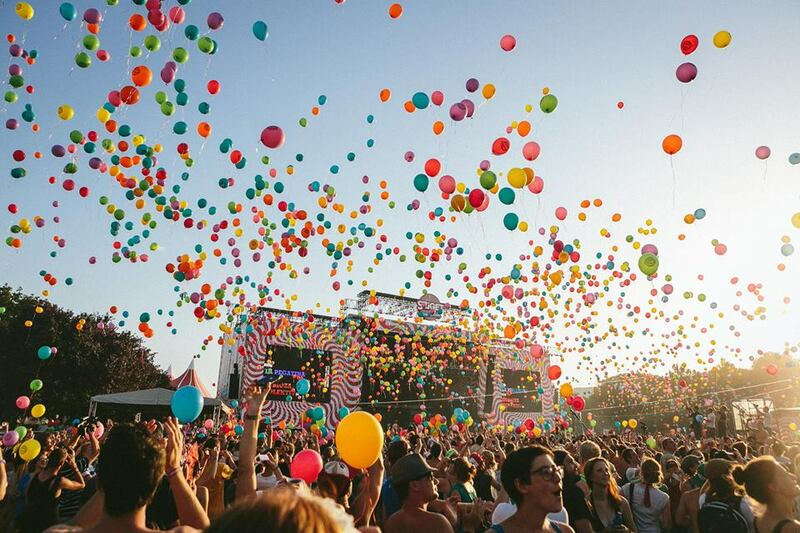 Music festivals are what summer is all about. If you agree with this statement and also love the feeling of waking up in a tent pitched in some random field, and sneaking out trying not to wake some half-naked stranger still snoring in the tent, while you’re a little tipsy still from the night before, you better start marking these dates in that big Mickey Mouse calendar you have on your wall. Start in May, ending in September, here are the music festivals we recommend you watch out for in 2017. 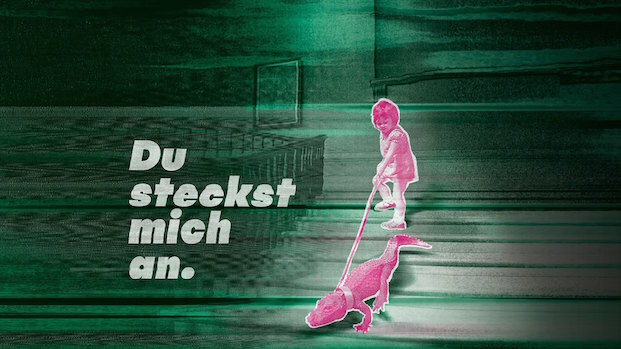 Over two weekends (April 28 – May 1 and May 5–6) the infamous Donaufestival in Krems an der Donau (it’s a lot closer than it sounds) is showcasing again this year a parallel universe of music, performance and visual arts. In various (and new) locations, concerts, performances and installations will revolve around the themes of empathy, politics and the future. This festival keeps getting better every year. Don’t sneer at this one. A classical music concert earns a place in a summer festival list just as much as the next hipster festival. You should see these guys at the after party. Ok, well, that’s not true, but, the classical music fans will raise their glass filled with fancy wine to this one. And you can raise your can of beer – it’s about time you 2 music loving crowds got along. 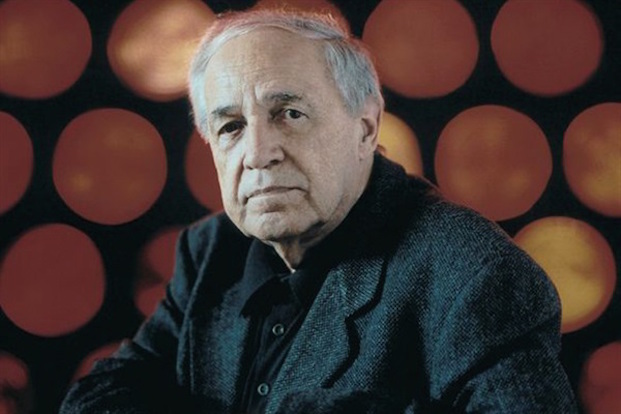 In the Wiener Konzerthaus, for one and a half months, this festival will be dedicated to the French composer Pierre Boulez. Internationally acclaimed musicians, ensembles and orchestras will make up the side program. So dress up, have a romantic walk in Stadtpark and end up with some violin sounds gracing your ears that make you go all Viennese. With headliners such as Kings of Leon, Deichkind and Die Tote Hosen, the Rock in Vienna will no doubt be shaking up the Donauinsel again this year. 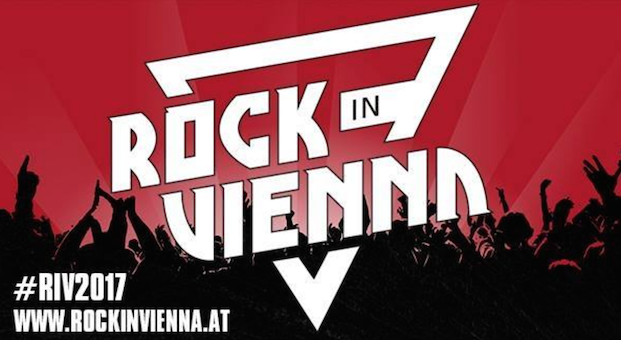 In its third edition, Rock in Vienna is longer, better, louder and we can’t wait to attend one of the city’s biggest events this year to – wait for it – rock our socks off at. Get ready for some head-banging and start binge listening to all the classics, coz’ you’re gonna be singing a lot. Jazz (and soul, funk and pop, actually) lovers come together, as this year’s Jazz Fest has leaked it’s first highlights: Ludovico Einaudi, Ulrich Drechsler Olso, Madeleine Peyroux, Herby Hancock (Oh my God! moment for all Jazz fans), etc. Who wouldn’t want to hear some jazz tunes in the Staatsoper or the Arkadenhof in the Rathaus? The smaller, and usually (jazzy) locations such as Jazzland, Porgy & Bess will also be hosting some crazy cool performances this year, we have no doubt. Entry: Between 12€ (1 Night Ticket) and 39€ (3 Days Festival Pass). Get tickets here. The beloved open air festival is back after three years! The Tanz durch den Tag collective will throw a magical week of multiple acts packed into in a diverse program; workshops, performances, kid’s activities, healing arts, and music – all day and night. On four stages, Vienna-based DJ collectives, such as Heimlich, Journey to Tarab, Non Funxion, Gassen aus Zucker etc. will deliver the techno, down-tempo, house and hip hop beats, while there’ll also be loads of live music. 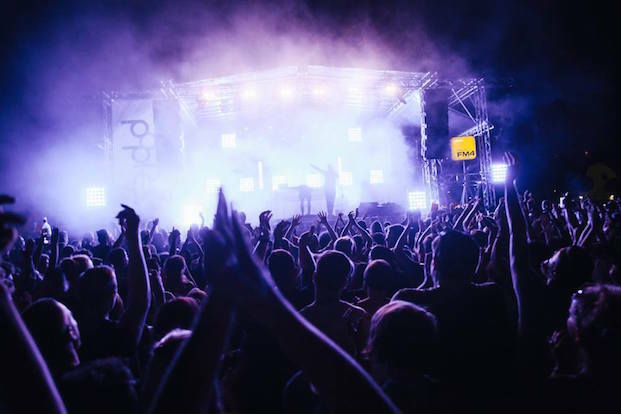 There are awesome day locations for the festival like the horse stable turned event venue, Creau, the Donauinsel, and as for the night, Grelle Forelle and Werk. Yes, we will once again be wearing flowers in our hair and be dancing under the blue sky! As one of Europe’s biggest FREE outdoor events, the Donauinselfest is a must for every summer-lover that respects itself. Yes, it attracts all sorts of shifty characters, however let us throw a few facts at you: it’s 600 hours of music, multiple stages and an eclectic program covering all tastes: indie, pop, rock, electronic, hip hop. And it’s free. This big open air festival of Vienna is back in June, and while the line-up is still to be announced, that tends to not really matter at this one. The lineup tends to lack in quality, however, we always have a blast. We’ll be grabbing our swimsuits, jumping on our bikes and taking a ride to the island, anyway! This city’s open air festival is where we either say, ‘Auf bald,’ before leaving for vacation, or we meet again in the summer breeze. Yes, it’s the Popfest at Karlsplatz, people. Entrance is free, and while the program is still to be announced, the acts tend to be getting better every year. We also love the focus on local talent at this one. Just note the dates, especially if your work colleague was quicker in writing down the vacation dates, than you. In a field in St. Pölten, this big ol’ favourite outdoor festival is one of summer’s highlights for many. Headliners this year include big names, such as Mumford and Sons, Bilderbuch, Placebo and so many more bands and musicians that will make you go – woot! Woot! (if you’re into that kind of thing). The list continues with Moderat, Flume, Robin Schulz, Wanda, Cypress Hill, White Lies, The Bloody Beetroots, Booka Shade… we could go on and on. Frequency will turn the public holiday of 15th into a 3-day celebration of summer and damn good music. Entry: Free entry on the Charity-Days (August 21.& 28 and 4.&5.9), 8€–20€ on other days. 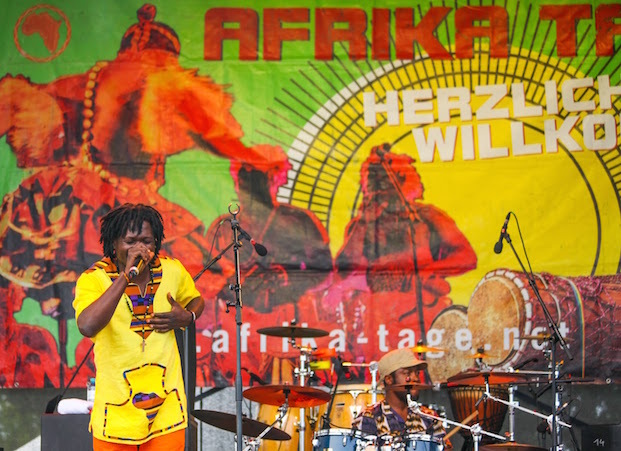 World music at its finest, Afrika Tage offers up 19 days of African and feel-good vibes, alongwith great food and a colourful bazaar. Located on the Donauinsel, you can also count on this year workshops on traditional dances from Senegal, Egypt, belly dancing and special days for different regions of the fascinating continent of Africa. This must be one of the most chilled out festivals there exists. They describe it like sitting together with friends at the side of a lake, while great artists perform their sets acoustically. We imagine it would be a pity if things did get too loud around that peaceful natural setting of the lake Sonneger. Festival-goers camp there around the lake and become part of this one big family. One very cool thing, beside the music, is that breakfast is served by locals who come in the morning to fry eggs for the guests. What other festival does that?! The atmosphere at this festival is so sought after, that they often sell out before announcing the line-up. So, if you happen to miss out this year, keep an eye open for this next year, or look out for people selling tickets online. 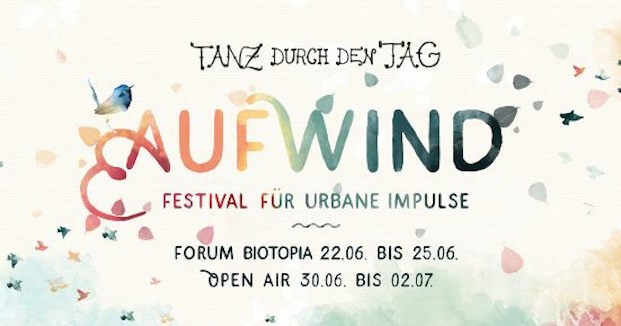 The Ottakringer Arena Wiesen will be hosting this ‘Indie-Boutique’ Festival for the second time in a row. The lineup is full of alternative indie rock and electronic musicians that are internationally getting it on… if you know what we mean (wink, wink). Some handpicked artists of the national and international indie-scene will share the stage with some newcomers and next big names. Two stages, 3 days in one of Austria’s favourite festival locations, the Wiesen – which is just one hour outside of Vienna. Are you ready to go abroad to show your dedication to music? If you’re looking for that one festival that is just as much a party as it is live gigs, Sziget is its name. With 20 stages and dozens of tents with activities – an African village, a Gipsy Tent, a Hare Krishna center and a Rabi who will advice you on life matters– this festival has it all, and it’s known to be the largest one in this part of Europe! And the coolest part is, it happens on a island in the middle of Budapest! It is so packed with side activities that you might end up missing all the acts you came to see. Which you’ve probably seen all before, anyway, that is, if you’ve been out of the house in the past 20 years, since the line-up here is usually made up of the big names of past years. 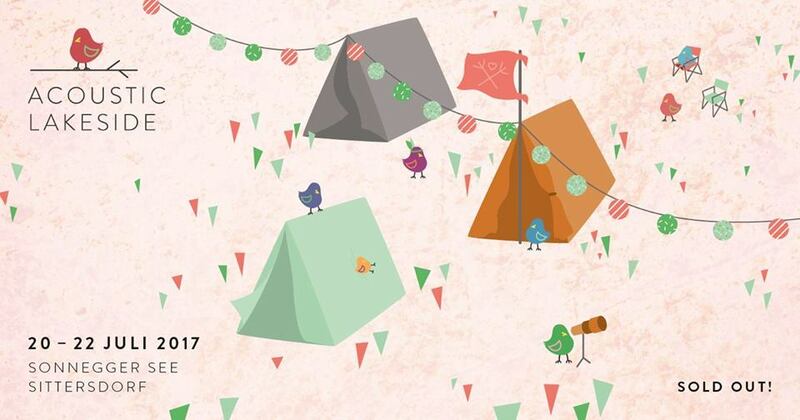 Definitely camp on the island, the fun is endless – and yes, the festival is on an actual island on the Danube, Sziget meaning in fact island in Hungarian 😉 You’re welcome! Is your favourite music festival missing from this list? Let us know on Facebook!